We already know that OnePlus is going to skip the OnePlus 4 (Because Chinese belief that the number 4 is bad luck), So the OnePlus 5 will be the next flagship phone from OnePlus, which will be released in the second half of the year. Earlier this month, the device passed through Chinese certification website, confirming the model number as A5000. The speculations and reports of the OnePlus 5 talk about an improved camera and processor than its predecessor. Now, According to India Today Tech, this could be our first look at the OnePlus 5. 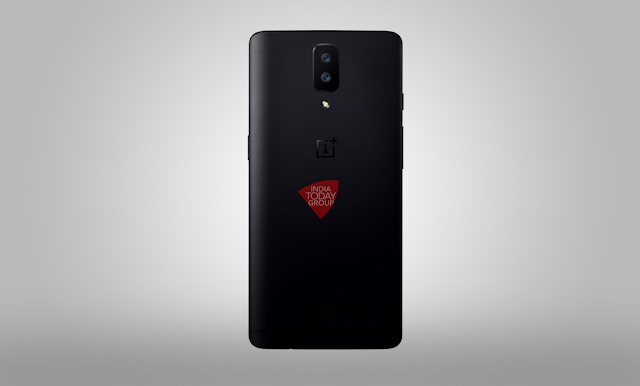 What you see below are said to be renders of the device based on what "people who have seen the phone and have possibly worked on the OnePlus 5". The Image is obviously a photoshopped Midnight Black OnePlus 3, but if the source is believed to be true, the OnePlus 5 might feature dual camera and will look almost identical to its predecessor. The source also claims that "If the phone doesn't have a fingerprint scanner on the back means it will have that sensor under the screen on the front." Previous rumors suggest that the OnePlus 5 will come with Snapdragon 835 chipset, 8GB of RAM, 1440 x 2560 resolution bezel-less display, water and dust resistant features. All said and done, these are just rumors, and none of them are officially confirmed by the company. We will update you in there's any info related to OnePlus 5.